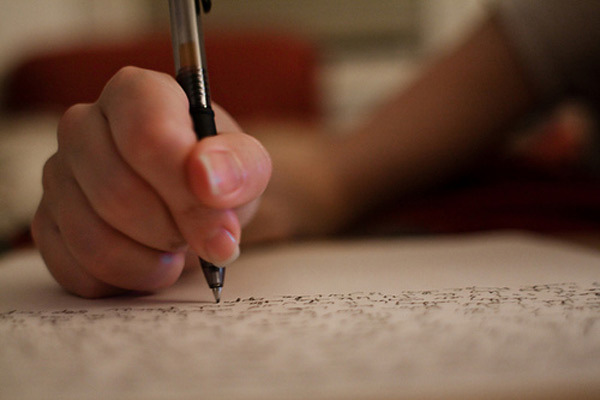 College essays are often the most dreaded and time-consuming part of a college application. And while essays are ranked fourth in importance for most admission decisions (behind grades, rigor of curriculum, and test scores), a great essay can be the difference between a college acceptance and denial. But it's important to remember that essays are also your big opportunity to highlight your strengths and discuss material not presented anywhere else in the application. This is where you can share who you really are with the admission staff: highlight accomplishments that you weren’t able to list elsewhere, express personal philosophies and give insight to your personality, or appeal to the reader’s ethos by sharing personal experiences. From brainstorming ideas to final edits, Tutor.com’s writing tutors share some of their top tips here. Brainstorm! Think of what can distinguish you from other applicants. Make lists of your strengths and accomplishments, then think of the events in your life that helped develop who you are. Starting the essay can be the hardest part, so it’s good to have a few ideas. Understand the different types of essay prompts. The Common Application gives applicants the choice of five different essay options. Familiarize yourself with the topics and make sure your essay clearly addresses each element of the prompt. Start early! Writing takes time, as does outlining, citing, and editing. You’ll probably go through a few drafts, so don’t start the night before the deadline. Be honest. Be an individual. While you may not think your essay topic is the most original or exciting, it is the only one coming from—and about—you! Everyone has a story, and it doesn’t have to include a summer backpacking in Europe. As long as the topic is truly meaningful to you, that will come across in your prose. Take breaks. Give your mind a chance to clear if you feel as though you are getting stuck. Also make sure you are getting full nights’ sleep and exercising regularly to help reduce the stress of applying to college. Make sure you have a clear introduction, body, and conclusion to your essay. Stay within the guidelines depicted in the essay. Writing an extra 500 words may make you feel like an overachiever, but chances are the admission rep reading your essay will question your ability to follow instructions. Always have a second (or third) pair of eyes review your essay, both for content and for grammar.